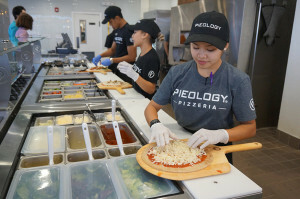 The Pieology Pizzeria franchise describes the brand as “fast casual custom pizza,” in which customers can customize their own pizzas, which are then cooked in a stone oven in less than three minutes. 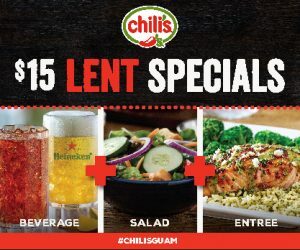 The master franchise agreement outlines commitments to open at least three locations in the region, to include one in Saipan. 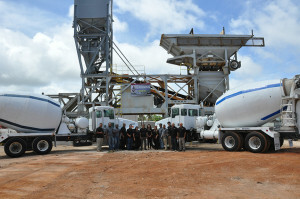 Jplanning Guam Corp. manufactures ready-mix concrete for military, residential and commercial customers. Under a mutual agreement, Jplanning purchases aggregate from Smithbridge Group Pty. Ltd. and leases Smithbridge property in Yigo, where it operates its concrete batch plant. The company’s specialized products include eco-friendly, heat-resistant, chemical-resistant and blast-resistant concrete. 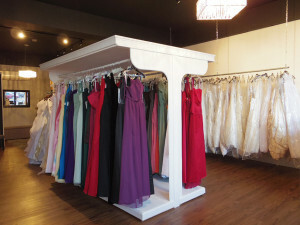 Budget Bridal Boutique is the first retail location for a business Ina Marie V. Carillo started out of her home in 2014. The boutique has a showroom and fitting room and sells sample, over-run and out-of-season U.S. designer gowns from Kirstie Kelly, Oleg Cassini and Maggie Sottero, among other designers, as well as wedding accessories. 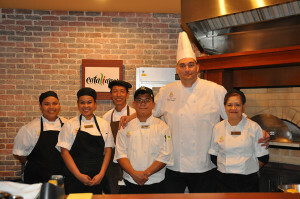 Leo Palace Resort Guam’s new casual Italian restaurant, Eatliano, features traditional Italian dishes with unique twists. Many ingredients of the restaurant’s pizzas, pastas, salads and other menu items are made with fresh local produce that are grown on Leo Palace grounds. 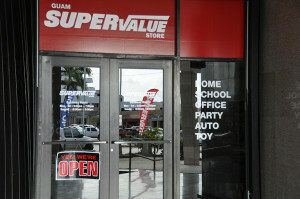 Guam SuperValue Store sells home, school, office, party, auto, safety and grocery supplies and toys. By purchasing directly from China, Japan, the Philippines and the United States rather than through wholesalers, the business is able to keep its costs low. The owner has plans to open three more stores and make the brand a chain on Guam. 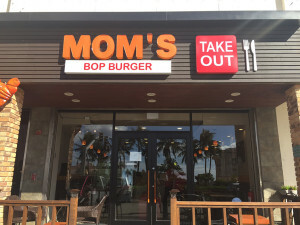 Inspired by Korean franchise DDung’s Bob Burger, Mom’s Bop Burger is a Korean-infused fast-food burger shop, serving rice “burgers,” which contain a combination of meats and veggies mixed with Korean sauces sandwiched between two seasoned rice patties, as well as soups, salads and sides. The owners plan to expand the brand to Hagåtña, Dededo, Tamuning and Dededo by next year and eventually to Japan and the Philippines. 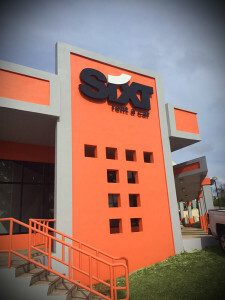 Sixt Rent A Car will operate under the same parent company as Guam AutoSpot, offering rental vehicles equipped with navigation applications. Sixt SE has more than 4,000 car rental locations in more than 100 countries. 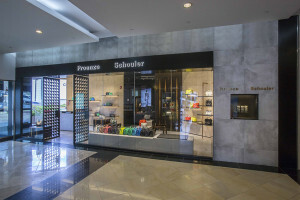 The Proenza Schouler boutique in Guam is the first on island and the exclusive retail location in Guam for the brand’s products, which include shoes, bags, clutches and wallets. Founded in 2002 by designers Jack McCollough and Lazaro Hernandes, Proenza Schouler has been growing its markets in Asia, recently opening shops in Japan, Taiwan, Hong Kong and South Korea. 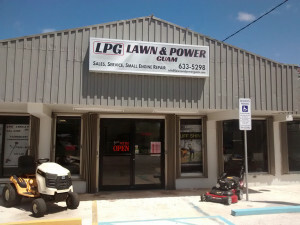 Under the umbrella of lawn care business Custom Craft Services, Lawn & Power Guam is a small-engine repair shop as well as the exclusive dealer for Maruyama lawn care equipment. The business plans to open two more locations in the next two to five years. 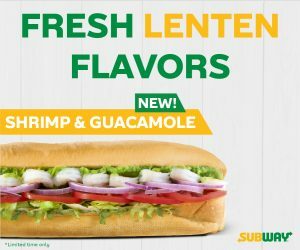 Owner: Saipan Shrimp LLC, a subsidiary of Triple J Enterprises Inc.
Bubba Gump is a franchise out of California held by Triple J Enterprises for Guam and Saipan. 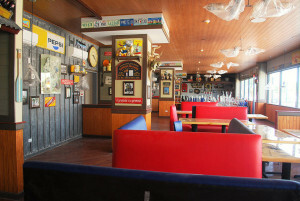 Inspired by the movie “Forrest Gump,” the chain of 43 restaurants nationwide and internationally features steak, shrimp and other seafood dishes and is connected to a substantial retail store. 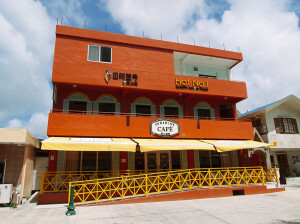 Owner: Imperial Pacific Hospitality Group, a group by Imperial Pacific International Holdings Ltd.
Sunshine Café is a casual, fast-service coffee shop on the ground floor of the Majestic Building in downtown Garapan. The café features a full menu of moderately priced “comfort” food, specializing in cakes and other sweet delights influenced by international chef and restaurateur Brian McKenna. McKenna also serves as the chef for Hot Pot No. 1, a Chinese restaurant on the second floor of the building. A chain from Beijing, the restaurant serves Szeuchuan hotpot cuisine with some locally influenced items like coconut soup and coconut beverages. paleo-friendly eatery and meal subscription service.